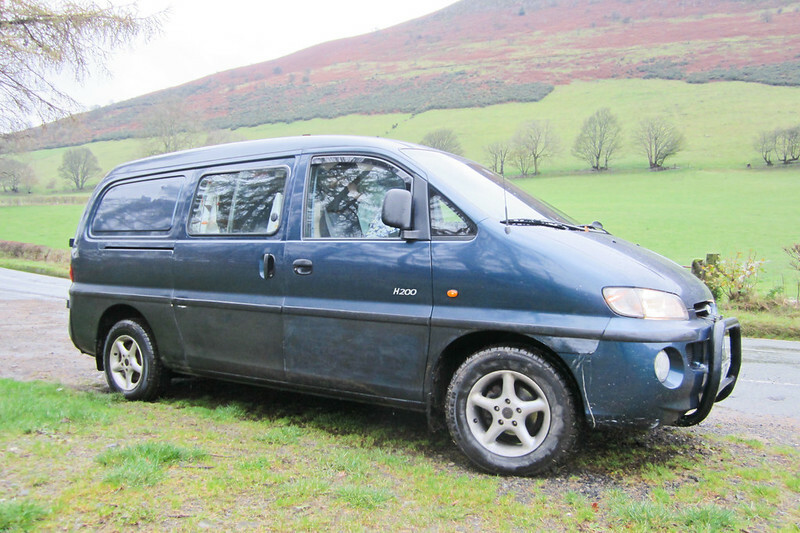 In the summer of 2014, fascinated by the freedom offered by life on the road, and inspired by stories of people travelling the globe in creatively self-converted homes, we purchased and imported a blue, left hand drive, Hyundai H200, from the Netherlands, to the UK. Upon it’s arrival in the UK, we began a four month long journey of reconstruction, and renovation, transforming a rusty window cleaning van into a comfortable, cosy, home for the both of us. 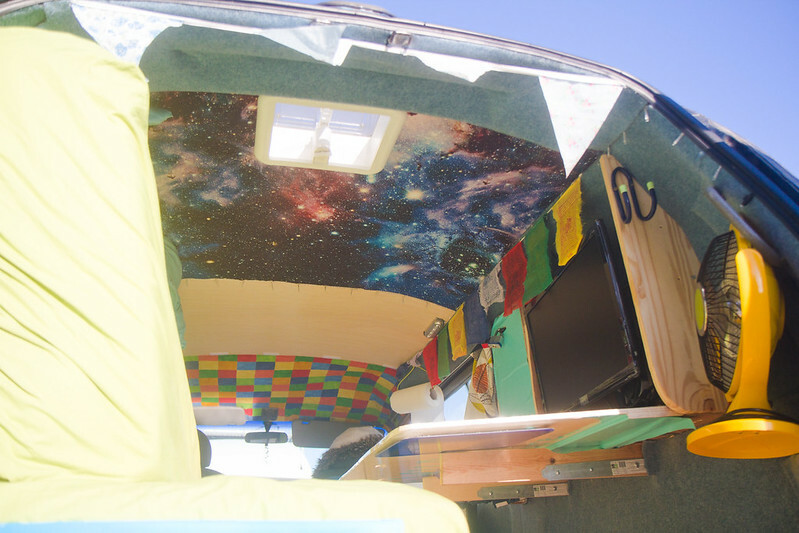 We welded the underside of the car, replaced the entire exhaust system, installed new windows, removed seats, insulated, designed furniture, carpeted and painted, hung up flags, maps, and fairy lights, and affectionately renamed our van ‘Autumn’. From 01 January 2015 we began living life full time out of our van, and now we spend our days driving, photographing, seeking out hidden away places, exploring, cooking meals on a campstove, and our nights, sometimes sleeping in forests, or falling asleep to the sound of waves, or hidden away, stealth camping, under the luminous orange glow of city street lights. We designed our home with the intention of using the small space as efficiently as possible. 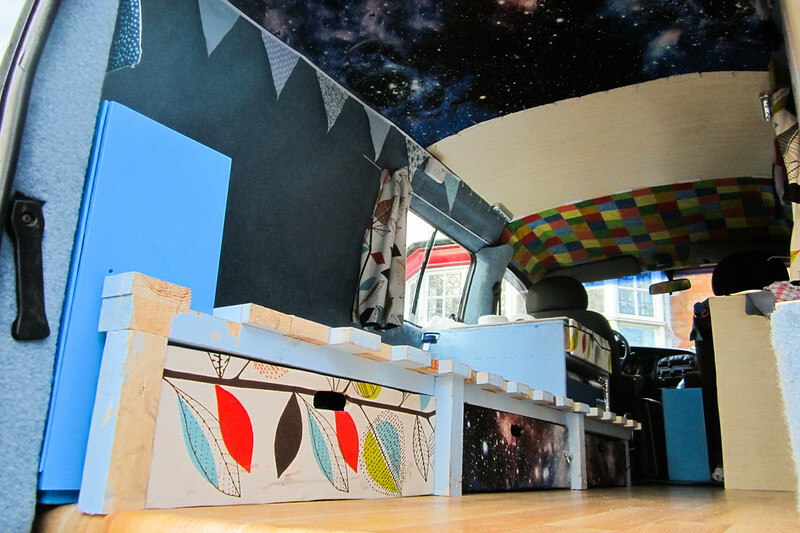 We built a sofa, which pulls out into a double bed, we built a fold-away table, which we use as a dining table and work-space, we installed a monitor, built in a kitchen sink, and created as much storage space as we could possibly fit inside the van. We installed a leisure battery, which charges whilst we drive, so we can use kettles, blenders, etc, and created hand-sewn black out curtains, and a partition, for privacy. As of May 2015, we’ve travelled through Scotland, France, Spain, Portugal, Morocco, Italy, Greece, Bulgaria and Romania. Next, we’re heading to Scandinavia! Such an awesome van… and mobile home! 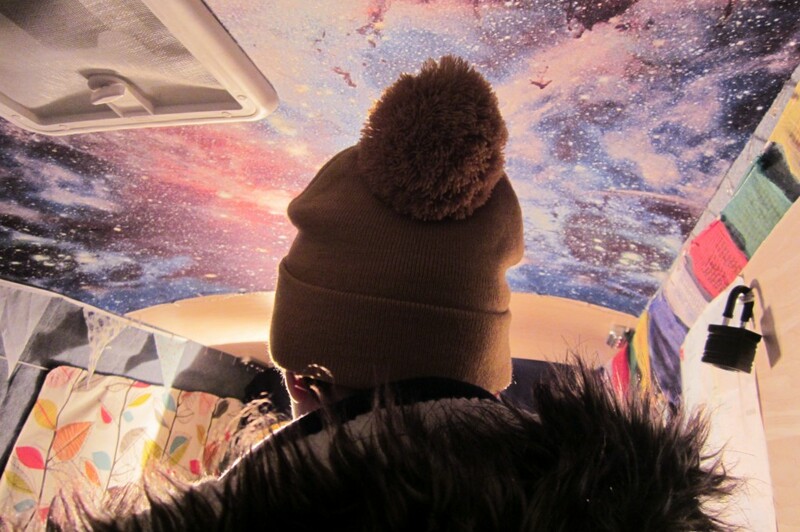 I didn’t know your van had a name… but I like it: “Autumn.” Can’t wait to see your future adventures. Be safe out there… and have fun!!! 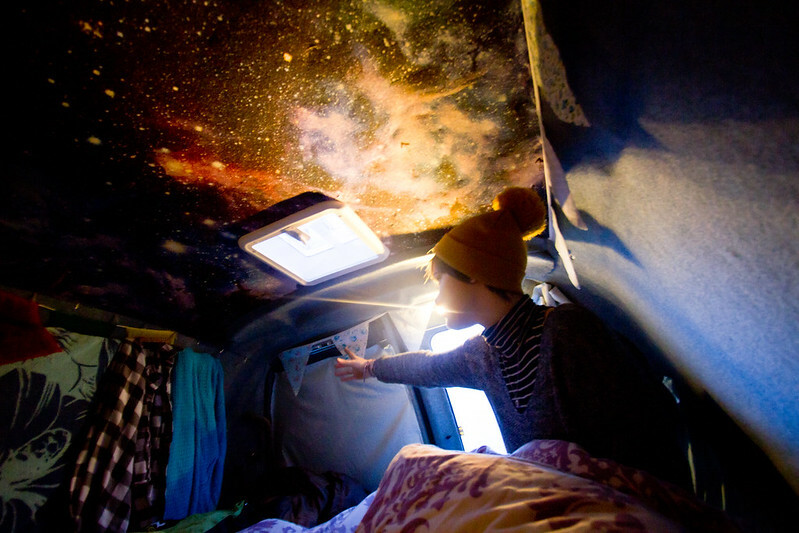 Your blog, just like your van is so whimsical! I love it, it’s a delight to read.